Faced with the myriad of gastromic delights that the town of St Andrews has to offer my lovely husband decided in his wisdom to ferry our family out of town to the local pub in Guardbridge for a belated mother’s day lunch. 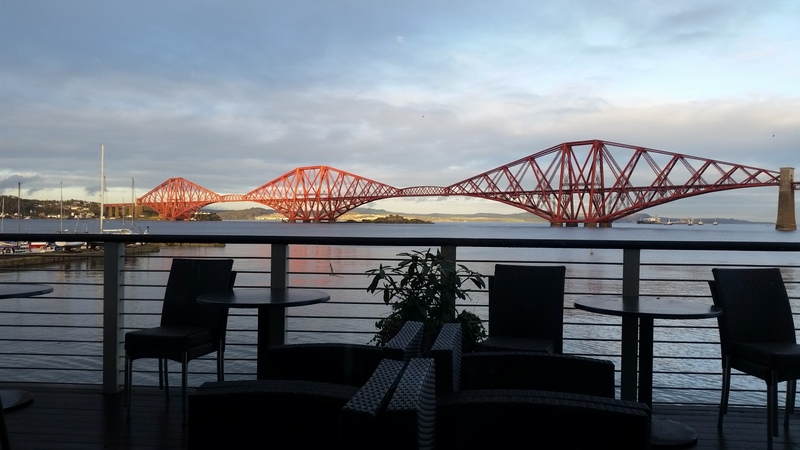 Guardbridge is to me a place that you pass through very quickly on the way to Leuchars train station and in more than 20 years of eating out in the St Andrews area I had never once considered dining there. Despite my reservations, first impressions were pretty positive. 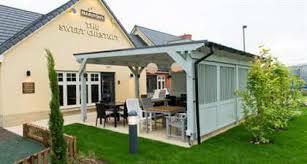 The Inn itself is in a lovely traditional building and inside it is very cosy and well …. pub like. 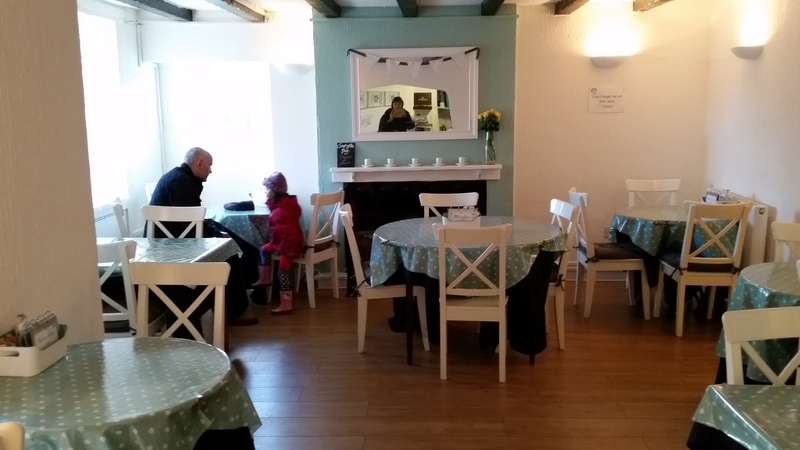 They do have a nice bright room for meals but you can also eat in the bar which was much more inviting with its’ cosy wood burning stove ablaze. The bar has about five tables so it feels quite intimate (in a good way) and the overall vibe is very relaxed and friendly. Despite becoming increasingly happy with my surroundings I did expect a rather hum drum pub menu with standard quality fare. It was then that I started to clock the dishes being scoffed by the very happy looking folks around me and it became clear that there was nothing hum drum about it. B looked smug! I hate it when he looks smug! I was pleased to see a modestly sized menu (beware the restaurant who gives you a million choices – it can’t possibly all be freshly cooked) which included such non pub grub delights as seared fillet of salmon on beetroot & kale risotto and roast chicken stuffed with cream cheese & spinach and wrapped in parma ham, served with a garlic cream. These nestled happily along side more traditional options such as fish and chips, well it wouldn’t be a Fife menu without them now would it? Before the food fest a note about the staff. Bloody fantastic! 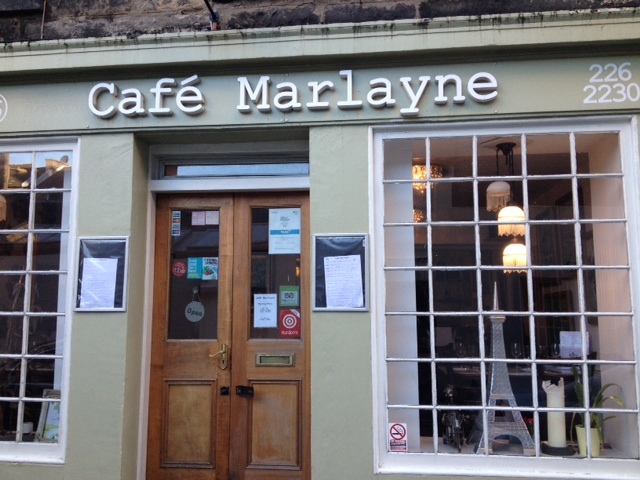 They are open and friendly, brilliant with kids, accommodating, informative and everything else that you could possibly want from restaurant staff. Now to eat: I started with Thai Crab Cakes with a sweet chilli sauce and B opted for the rather unusual sounding Mushroom and Turkey soup. The Crab Cakes were delicious however B’s soup packed a flavour that made me consider shouting fire so that I could sneak into the kitchens and half inch the recipe. Far fetched perhaps, but nailing a soup like that would make me a very happy lady indeed. This delicious creamy soup was finished off with an elegant swirl of fresh pesto making it look as delightful as it tasted. Now I was properly impressed. Both B and I ordered the beef roast dinner as our main course on the basis that the lady next to us had it and it looked utterly divine as far as roast dinners go. We were not disappointed. They didn’t make the fatal mistake of piling mounds of roast dinner titbits on the plate Jenga style. Instead there were a few beautifully pink slices of roast beef, a lovely Yorkshire pudding, a few roast potatoes and a medley of cubed swede, carrot and celeriac. All items were cooked beautifully and were extremely flavorsome. 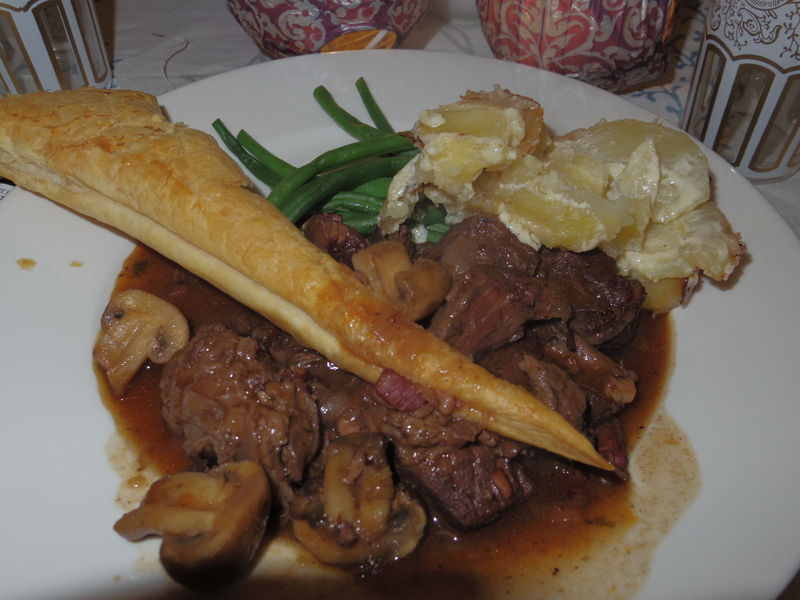 The whole shebang was finished off with a rich red wine gravy which was extraordinarily nice. A daub or horseradish cream and we had a winning combo all round. Never one to stop at a modest two courses we pushed forward to the dessert menu. I really could not get past the idea of hot banana sponge with toffee sauce and hazelnut ice cream from local ice cream emporium Luvians. So imagine if you will a sticky toffee pudding which lacks the heaviness of the dates. A sponge with a delicate banana flavour which is so light it is in danger of floating away. Then imagine a warm silky toffee sauce cascading over it and a generous helping of the creamiest hazelnut ice cream you are ever likely to encounter. Toffee, bananas, nuts and cream – heaven. I barely registered what B was having for desert. A glorious parfait involving exotic fruits. It certainly looked the business and he appeared to be smiling – but oh the banana sponge! After coffees with a little piece of tablet (full to bursting) we waddled back to the car. I am quite shocked that for over two decades of eating out in restaurants in and around St Andrews, this wee gem had never entered my head as a dining possibility despite having driven past it literally hundreds of times. Next time I want fresh local food cooked to perfection in the St Andrews area I know where I will be heading – and so should you. It has been such a lovely summer that I had forgotten the very British tradition of battling the elements on a family day out, when the sensible course of action would be sticking on a movie and eating Jaffa Cakes. And so the Grumbling Tummy three found themselves in Falkirk on Sunday on a quest to see the Falkirk Wheel and The Kelpies, or as my daughter calls them, The Skelpies. There was rain, there was cold and a wild wind that blew a new white hat clean off a small curly head into the mud. We were grimly determined like the other mad day trippers with their wellies on. We had decided to settle for a drive-by past the Kelpies when lo and behold the sun burst its way through the clouds and there was a lull in the rain. So with only the bluster to battle we got out to see these 30 metre high equine head sculptures which were a beautiful sight to behold. There was only one problem – cake was thin on the ground. I was determined to have cake and good cake at that. 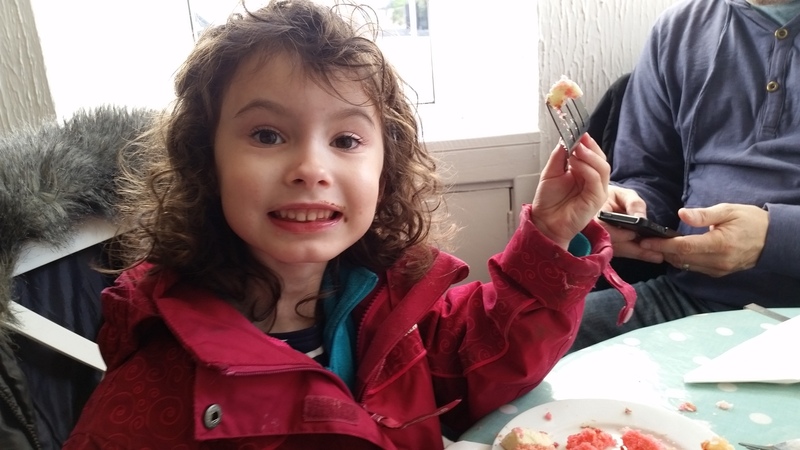 Kincardine is probably not the first place you would think to head to for splendiferous cake but trust me, it is home to one of my secret places to procure cake of the finest standard. The Baking Room http://www.thebakingroomkincardine.com/ sells breakfasts and lunches but the highlight is the home-made cakes. On offer amongst other delights on Sunday were: giant custard creams, a pink Victoria Sponge complete with giant chocolate buttons, an amazing tray-bake made from brownies, white chocolate and mint ganache , Rolo tray bake, peanut butter fudge and salted caramel cheese cake. B and N shared the pink striped Vic Sponge and it must have been good as they seemed to be fighting over selected parts of it – chocolate icing seemed to be the main battle ground. 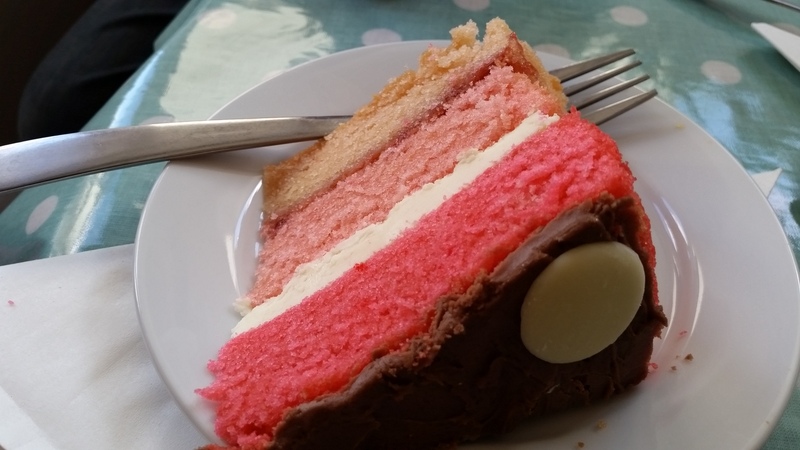 Calm down WI Vic Sponge purists – it was bloody good. And let me tell you how nice my Rolo tray bake was. I didn’t ooh or aah about it one little bit. I tasted it quietly and then cunningly hid it behind my coffee cup in the hope that it would not be noticed and that I would not be called upon to share. Sadly I was found out and had to offer a tiny bit to B but oh how much did I resent that little bit of wonder going somewhere else apart from into my mouth. Not only do I like cake but I am also a tiny bit greedy and am not keen on the whole concept of sharing. Probably due to being an only child! Not content with the cake that we had eaten – we felt the need to buy a giant custard cream and take it home. I think the plan may have been to sit down and share it over a freshly brewed coffee but in reality it was opened and devoured before we had time to fill the kettle. 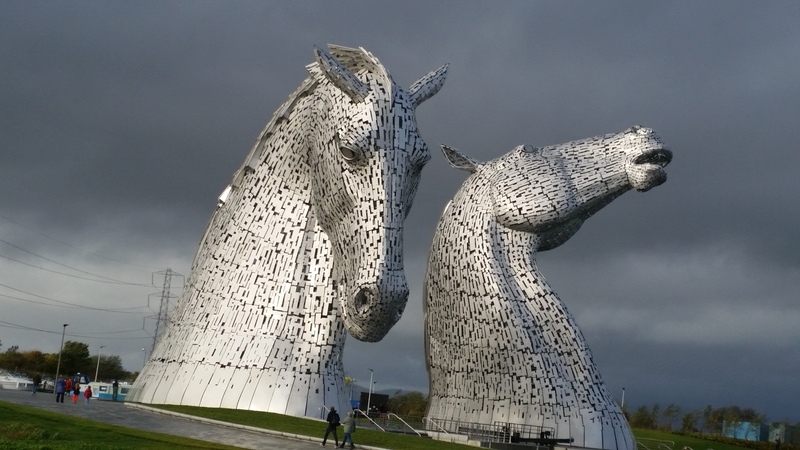 So Cake and Kelpies – it’s a great day out. And as for the diet – there is always Monday! 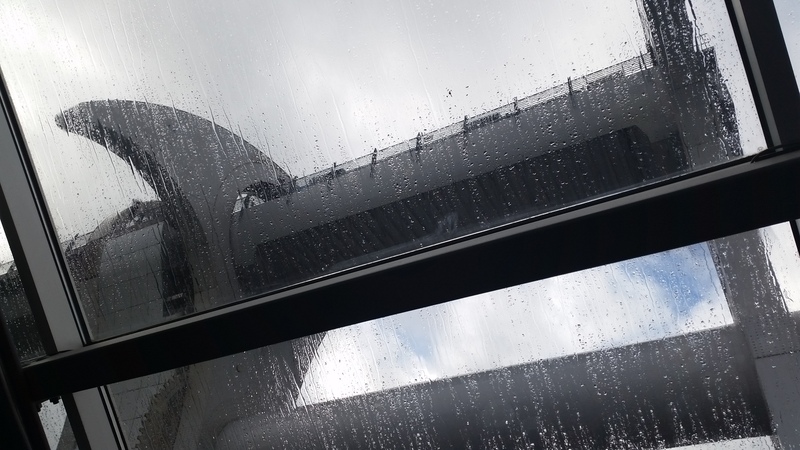 Categories: REVIEWS, Uncategorized | Tags: Falkirk Wheel, The Kelpies | Permalink. Roughly translated as great grub in Belgium which is what this post is all about. A couple of weeks ago my mum and I took off for a mini break in Belgium. She was mostly interested in the shopping and I was mostly interested in the food. I had heard that the food in Belgium was outstanding and with national treasures such as chips, chocolate, waffles and beer it is easy to understand why. We did not have the most auspicious start to the trip from a gastronomic point of view. Half an hour before our flight my poor mum was to be found in the public conveniences being a little bit sick – a wee bug we thought (actually the onset of shingles!) 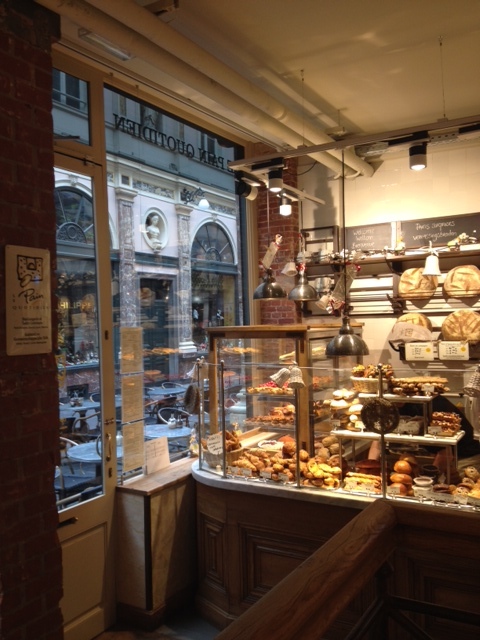 My hopes of eating our way around Belgium began to fade. However she is a trooper and thankfully rallied pretty quickly – onwards and upwards – quite literally. 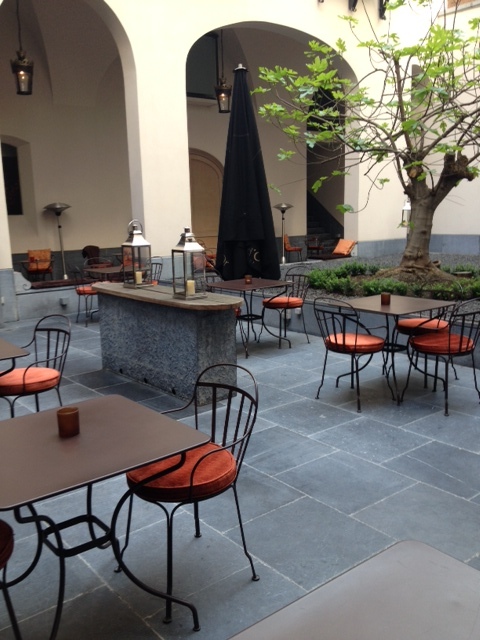 We were staying at the fantastic Dominican Hotel which is bang smack in the centre of Brussels. It is a Boutique Hotel full of design genius and quite possibly the nicest gaff I have ever had the pleasure to stay in. 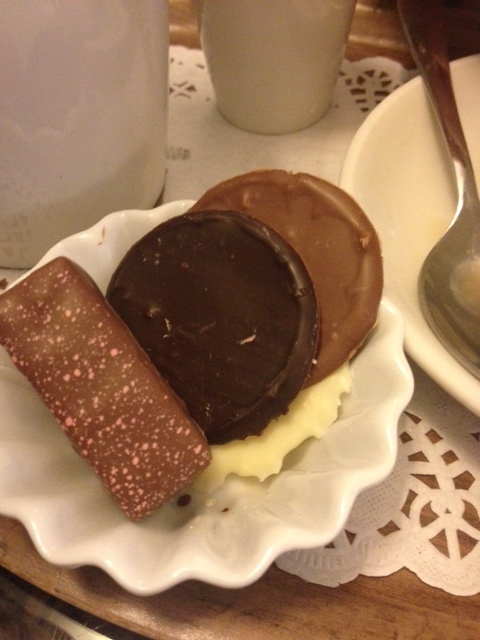 This is of course a food blog not a travel blog so first of all a word about chocolate. 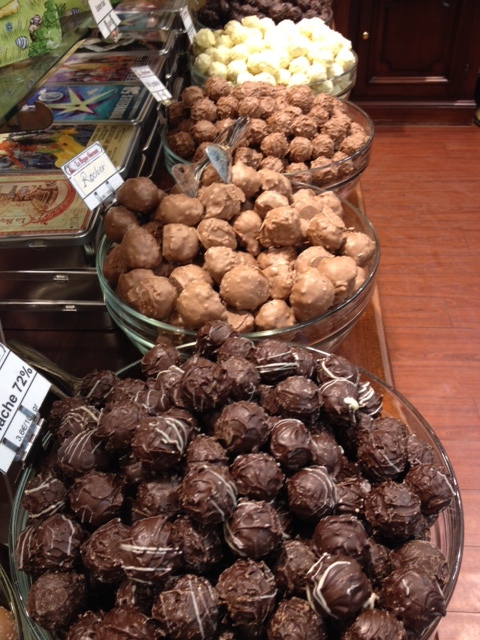 In Brussels the chocolatiers are impressive both in quality and quantity. Belgian chocolates are rated as some of the best in the world and believe you me they take it all very seriously! 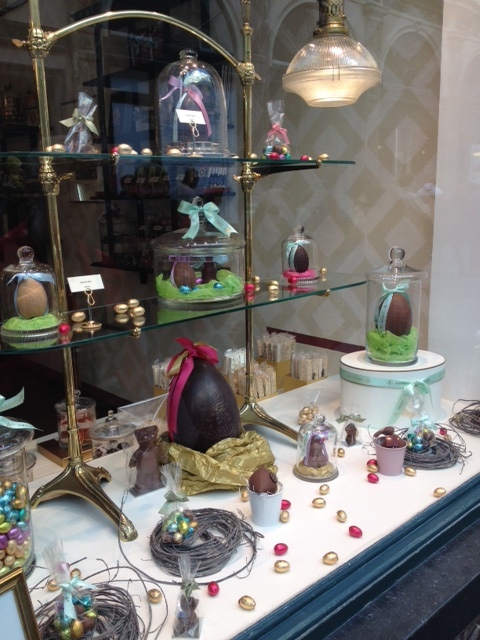 There are thousands of varieties to choose from, Truffles and pralines galore and of course with Easter only a week away they had gone all out with fantastic eggs, some of them larger than my four year old! The Galerie Royale St Hubert is a stunningly beautiful and achingly sophisticated walkway which houses a selection of restaurants and shops and It is also choc-a-bloc with chocolatiers – yum! I bought some chocolate (of course) but there is no need to put your hands in your pockets to sample this Belgian speciality. Samples abound in the choccy shops of course but the real treat was the amount of freebies you are given in coffee shops along with your drink. In one memorable and rather adorable tea room in Bruges we ordered a coffee and were given 4 chocolates and a flourish of whipped cream to boot. It seemed rather excessive but you will not find me complaining about such decadence. We were based in Brussels but we travelled to both Bruges and Ghent and it was in Bruges that I sampled the best waffle I have come across. Again we were in a coffee shop which dished out chocolates willy nilly (cue sugar rush) but it was the waffle with chocolate sauce, banana and cream that stole the show for me. The waffle was large (always a very good start) and light as air. 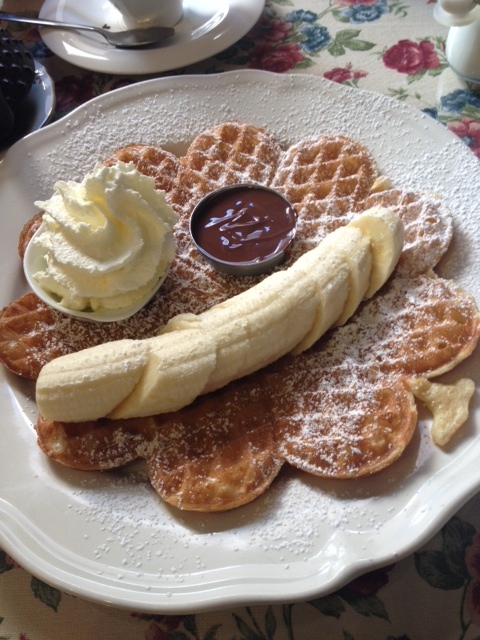 The banana made me feel worthy and who can resist lashing of warm silky Belgian chocolate sauce and whipped cream. “Do you know you can buy waffle machines?” said mum. I tried to ignore her and I am still trying to ignore that such wonders exist – it would be a very bad idea for me to be able to recreate such splendour in my own home. A word about eating in the right place and eating in the wrong place. Everybody knows that you should never ever eat in the restaurants with all the lovely outside seating around the main squares. Great for a drink but when it comes to eating you are looking at daylight robbery for rather substandard produce. But for some inexplicable reason we found ourselves doing just that in Bruges. It was at this average establishment that I came across the Croque Bolognese. 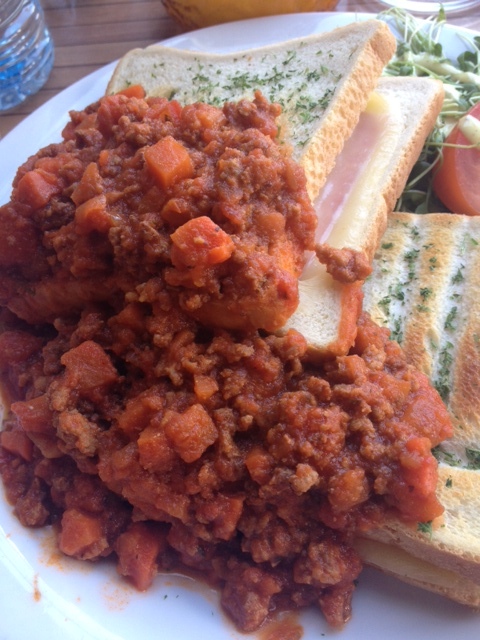 I am not sure what I expected but I was a little taken aback when I received a standard Croque Monsieur with big dollops of bolognaise all over the top of it – literally. I couldn’t help but wonder what John Torode would have said about this had it turned up in the Master Chef kitchen. It was two meals in one and the bolognaise make the toast all soppy. It didn’t actually taste too bad – it was just really odd! Finished it all to make sure there was something else in my tummy apart from a great big goblet of Leffe Blonde. 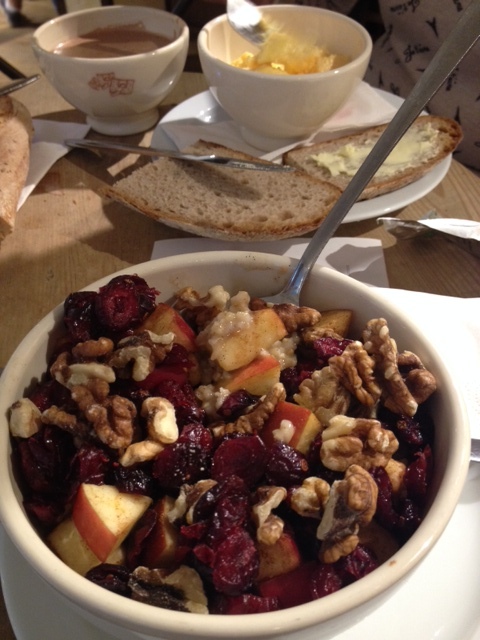 Oats, rice milk, walnuts and cranberries – breakfast of champions – and me! The other stand out meal was in a little brasserie recommended by the staff in our hotel, they promised a taste of Belgium. 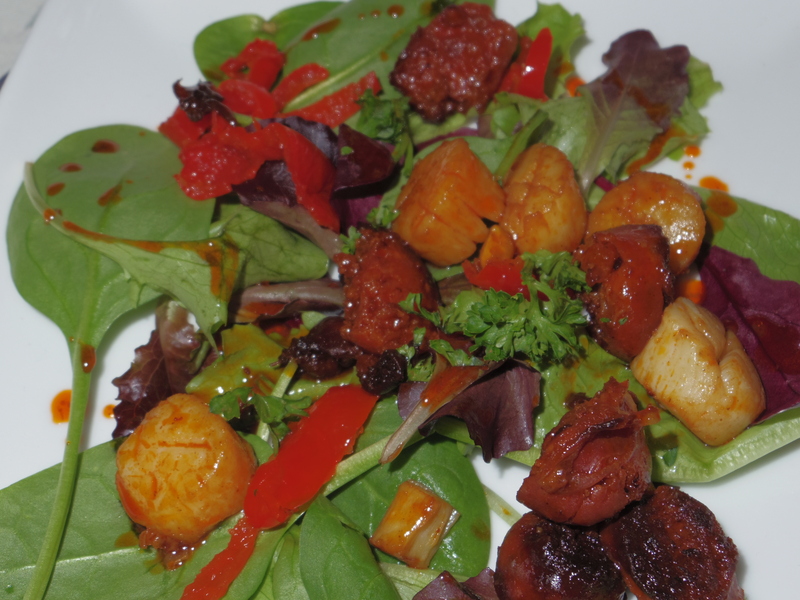 It was called ARCADI and was a small bustling Bistro serving delicious and affordable food and seemed to be frequented by lots of locals, always a very good sign. 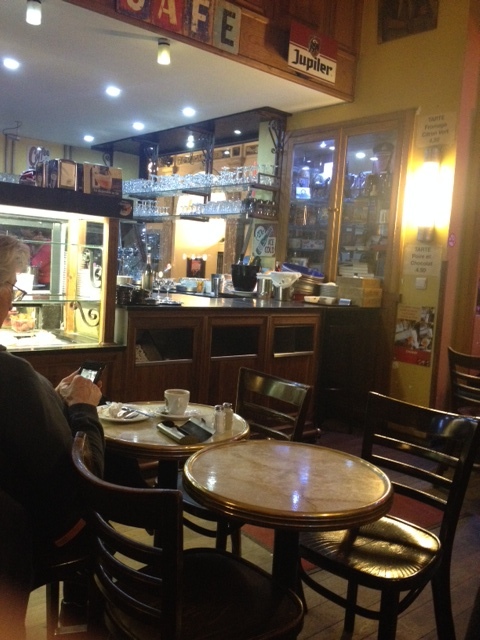 The tables were small and a little bit cramped but I thought it all just added to the old style Brasserie feel. Food here is simple and tasty. 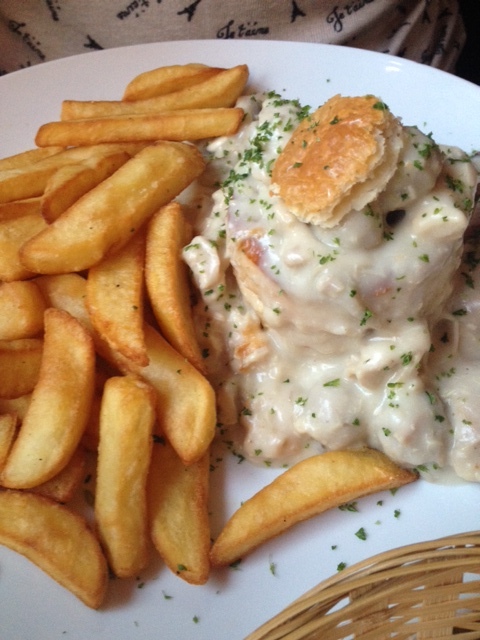 I opted for a crepe with chicken and vegetables and mum opted for the famous chicken vol-au-vent with fries. My crepe was extraordinarily tasty considering the inside included spicing rather than a sauce and the vol-au-vent looked sublime. It is true what they say about fries in Belgium – they are special – so so crisp on the outside and beautifully fluffy on the inside. Tis a rare gift. The staff were friendly, the wine was flowing and the lemon meringue pie to finish was fit for a king. A note on chips – I planned to have a big poke of chips slathered in mayonnaise at some point in my trip. Not a difficult thing to achieve considering these are offered on every corner, but it just didn’t happen! I even visited the chip museum and learned that French Fries were so-called because American soldiers mistakenly thought that they saw French soldiers making them when they were in fact Belgian. But when it came to the cafe selling fries at the end of the tour I had to decline having just eaten the croque bolognese obscenity and a vat of beer! A note about beer – bloody love Belgian beer. Pretty much stuck to the blonde beers and as I was with mum it was not a boozy break but what I had was glorious. Nothing beats a glass of beer the size of your head in the sunshine. 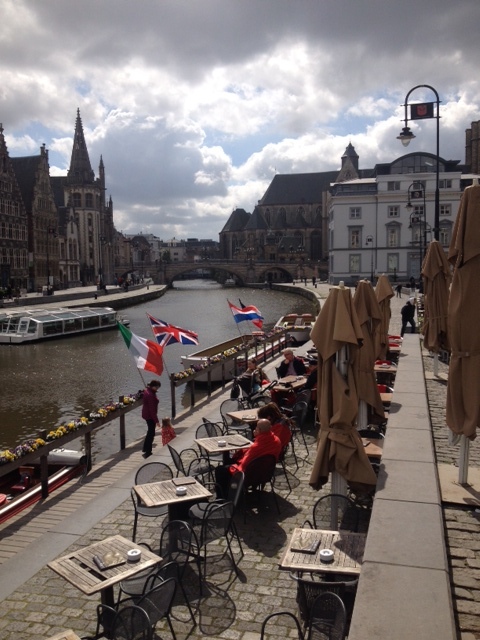 Note on Ghent – go there! It is truly beautiful and a bit more real than Bruges, which to my mind is a very pretty outdoor museum with lots of shops. Ghent is amazing and I will return. 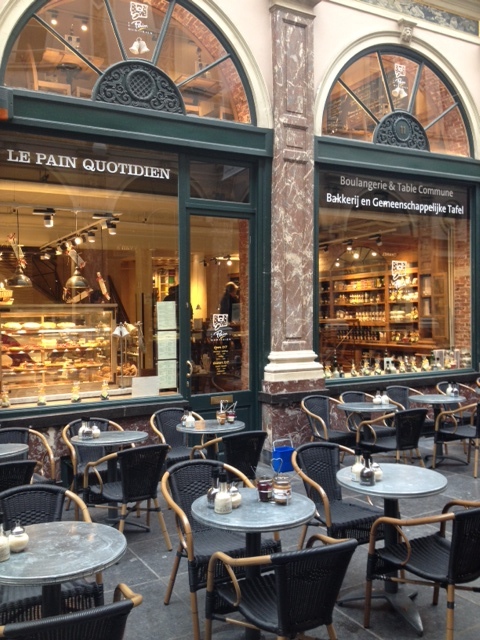 Final note on Belgium – it is a superb place to visit. Most people looked at me blankly when I said I was going there for a long weekend. The unspoken word was WHY? I will tell you why: it is clean, sophisticated, beautiful, friendly, historical, a shopping heaven, cultural and best of all it has great food. Categories: MUSINGS, REVIEWS | Tags: Belgian chocolate, Belgium | Permalink. As we sat in what B proclaimed was the best seat in the house, me with a lovely sparkling glass of prosecco and B with very girly cocktail, eating a warm mini baked loaf smothered with tapenade I asked “Are you in heaven right now? ” Despite looking pretty pleased with himself B replied “You know that it can’t be heaven without Bruce Springsteen” . Thirty seconds later Bruce Springsteen’s ‘Secret Garden’ is played through the sound system. Now that’s what I call service. The service was actually so good and so intuitive at The Adamson that we began to wonder if our seats were bugged! There is time for my usual preamble about interior decor and ambiance later as I am desperate to tell you all about the food first. Why? Because it was bloody marvellous that’s why. Not just a bit good – this was proper 10 out of 10 territory. At the helm in the kitchen is a man good enough to impress Gregg Wallace and John Torode – Scott Davies was the runner-up in the 2013 programme ‘Masterchef: the Professionals’. 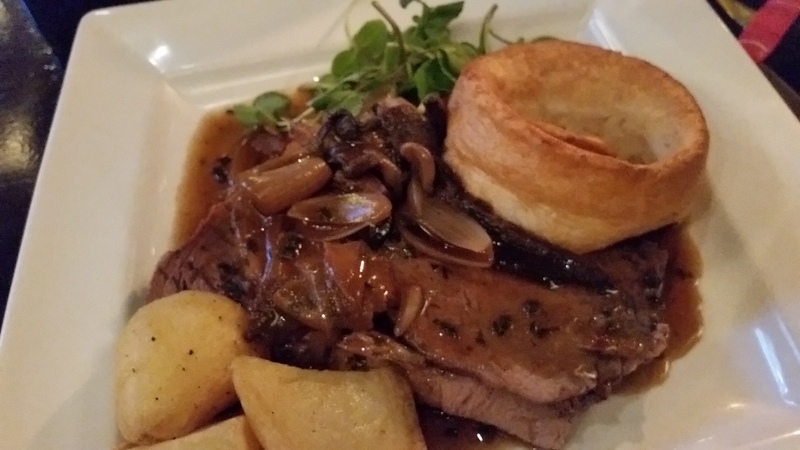 Scott has created a classic brasserie menu with a modern twist. I kicked off proceedings with Ham hock, Piccalilli and Toasted Artisan Bread whilst my happy Bruce loving husband ordered Smoked Fishcake in Tartare Sauce. It may seem odd to describe piccalilli as cute but hell it was – I don’t know where they found cauliflower with such dinky little florets. As well as being cute it was thankfully delicious and complimented the ham hock terrine beautifully. 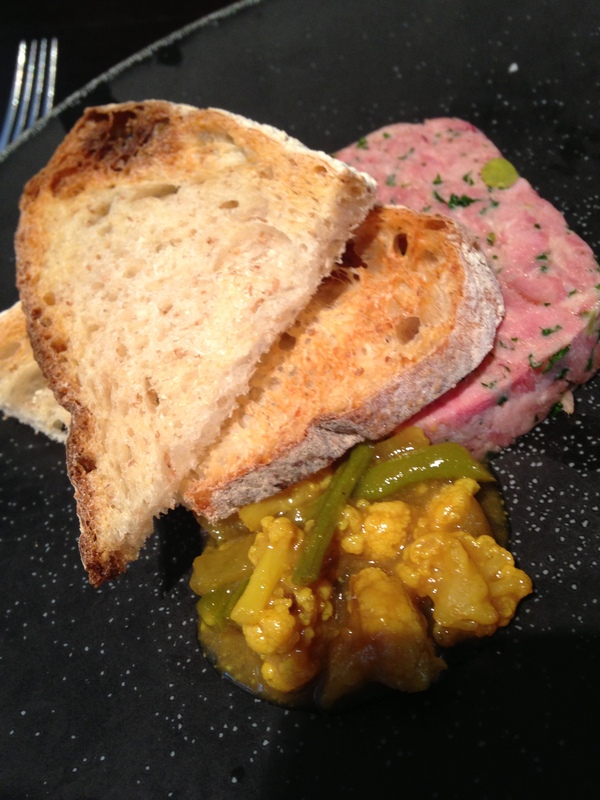 Often meat terrine’s have the dreaded ‘jelly’ factor which is pretty much guaranteed to put me off. Not so at The Adamson. The terrine was perfectly meaty and jelly free, fantastically seasoned and surprisingly very light. 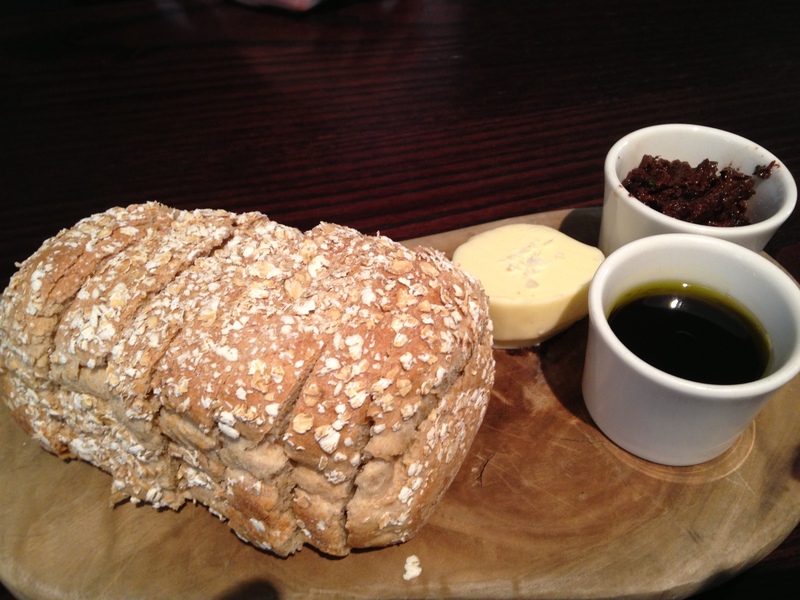 It really was rather splendid and roughly spread on artisan toast it was heaven indeed. B’s fish cake was a very large and round and on first inspection resembled a Scotch egg floating in a lovely creamy capery moat. I had a little taste and it was absolutely delicious. This creamy, light and very sophisticated sauce bore little resemblance to the tartare sauce I love to smear all over my scampi and chips – thank goodness. 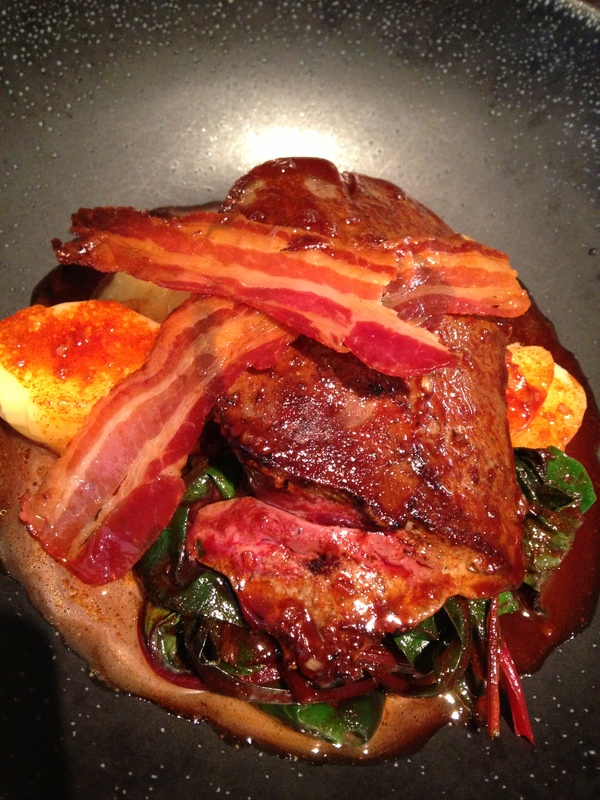 Now for the piece de resistance… I opted for lambs liver with confit new potato, wilted greens and sauce diablo. Liver is like Marmite – you either love it or you hate it and I absolutely love it. Often liver is presented a la rustique – i.e. dumped on the plate with a pile of mash onions and gravy, but this dish turned liver into a thing of beauty. Balanced on top of lovely rich greens and little potatoes with a beautiful rich silky sauce this dish looked amazing. Liver overcooked is a terrible thing – grainy and tough. 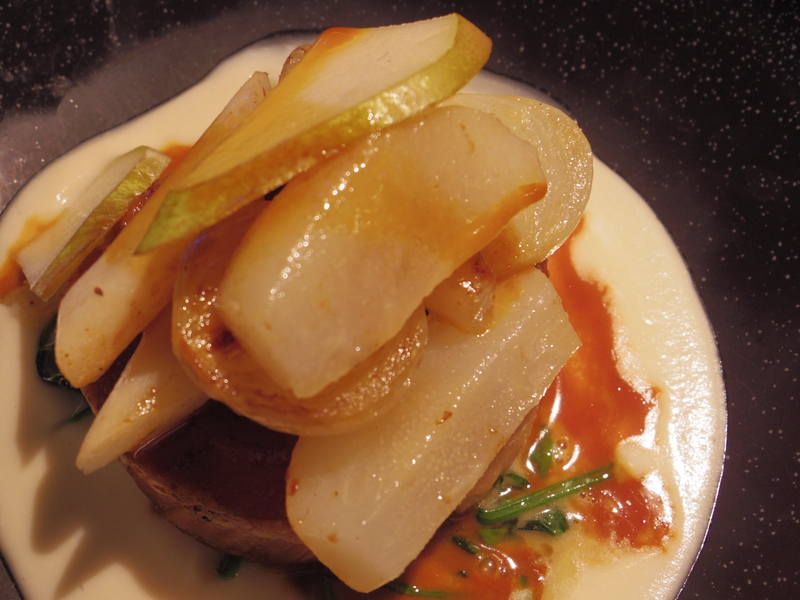 Liver cooked perfectly is pink inside with a beautiful soft creamy texture. Needless to say the Liver at the Adamson was cooked to perfection. Having only ever tasted liver with the standard mash and onions combo, for me the sauce Diablo was the high point. I have no idea what makes up a sauce Diablo but if I was a betting woman I would guess that paprika and cayenne were key spices in this wonderfully rich, smoky and aromatic sauce. 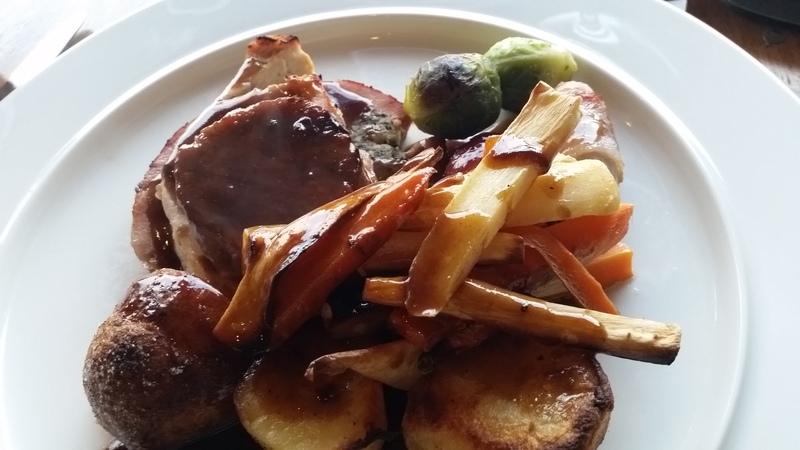 It was superbly tasty and complimented the liver so well that I was practically groaning with pleasure (I am aware of how that sounds but it was bloody good food). B opted for flat iron steak sandwich with onion & peppered mayo & skinny fries. 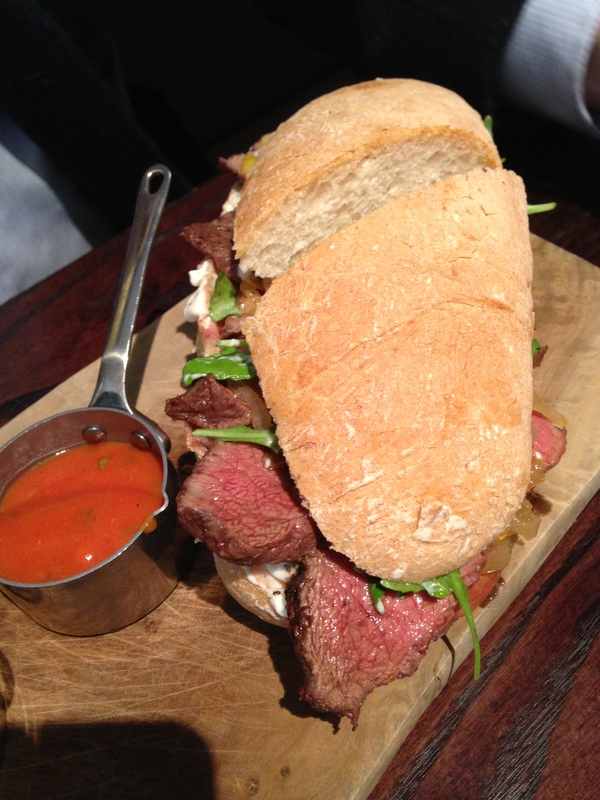 It was a proper blokes portion with the perfect steak nestled in between generous chunks of ciabatta. Now the whole meal was lovely but the steak was out of this world. Seriously folks this steak was good. I often find thin slices of steak are overcooked and chewy. This happens pretty much 100% of the time I try it and a good proportion of the time in restaurants too. This flat iron steak was pink and melty and tender and seasoned to perfection. This may seem strange but the high point of the dessert menu was the addition of sorbet. Now I love my desserts and unlike most of my friends, I find it almost impossible to bypass this course. However, dessert no matter how adorable is usually served up with a dollop of guilt on the side and invariably I will mutter all the way home “nice meal but I shouldn’t have had that sticky toffee pudding”. The guilt will sometimes manage to actually overshadow the pleasure of the meal. I have often said that every restaurant should offer a guilt free alternative such as fresh fruit with perhaps a twist or sorbet, which is exactly what you can opt for at The Adamson. As well as a guilt laden array of desserts you can choose to have two scoops of sorbet (from local business Luvians) from a selection of flavours: passion fruit, rhubarb, lemon & yogurt and banana. I chose passion fruit and lemon & yogurt and it was perfect. 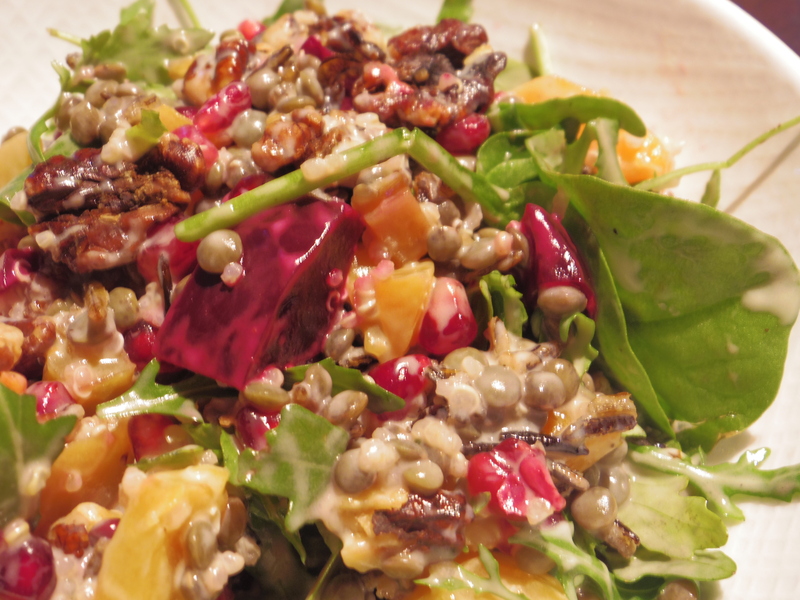 The ideal way to end a meal – not too sweet, palate cleansing and best of all free from guilt. 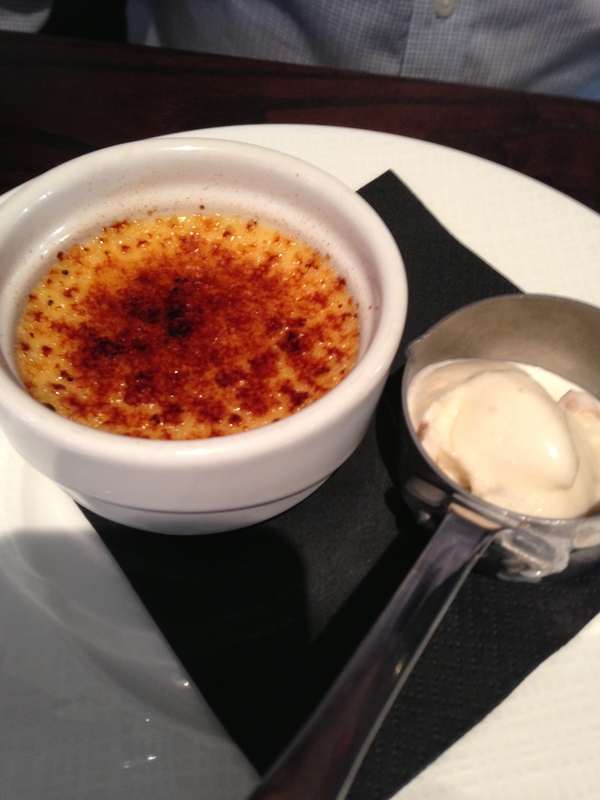 B suffers no such guilt and opted for Creme Brulee which both looked and tasted superb. You may have learned from previous posts that we have had creme brulee issues in the past and it is always a bit of a spirit test ordering it these days. I am glad to report that The Adamson passed with flying colours. So it is 10 out of 10 for St Andrews newest kid on the block. A bright, contemporary restaurant with great service and stellar food. Can’t wait to visit again. Categories: REVIEWS, Uncategorized | Tags: Adamson | Permalink.